We’ve been getting a lot of questions about continuing education requirements for MGEVs. Glad you asked! You’ll note in our updated Program Policies that “MGEVS are encouraged to seek at least 6 hours of continuing education each year and report it within MGLOG.” For the past several years, we have been moving toward the habit of reporting the training that you are already doing, and we continue to encourage you to learn. That’s a large part of why you became a MGEV in the first place — you want to learn more! We have been moving in this direction because of national standards for Extension Master Gardener (EMG) programs. In 2015, a set of standards was developed to describe the similarities among EMGs, regardless of where they trained or volunteered. In other words, if you heard the title “Extension Master Gardener,” what could you generally assume to be true about their qualifications? (If you want to read about this, we published a paper here.) One of those national standards is for continuing education. Georgia was one of a handful of states without a continuing education requirement. Rather than mandate it and get everyone upset, I began encouraging volunteers to report what they are already doing and set an initial goal of 6 hours per year. We will increase that to 10 hours per year in 2020. I’m pretty sure that you are already participating in continuing education. All you need to do is record it in MGLOG. It will show up on your annual report. You got this! Thoughtful Thursdays webinar series resumes February 14. These are free, 30-minute webinars brought to you by the State Program Office and offer a great opportunity to hear from UGA Extension Specialists about current topics and trends. You can find links to the recordings of 2018 Thoughtful Thursdays on your homepage within MGLOG. Simply log in to your MGLOG account and scroll down the page to see the links. 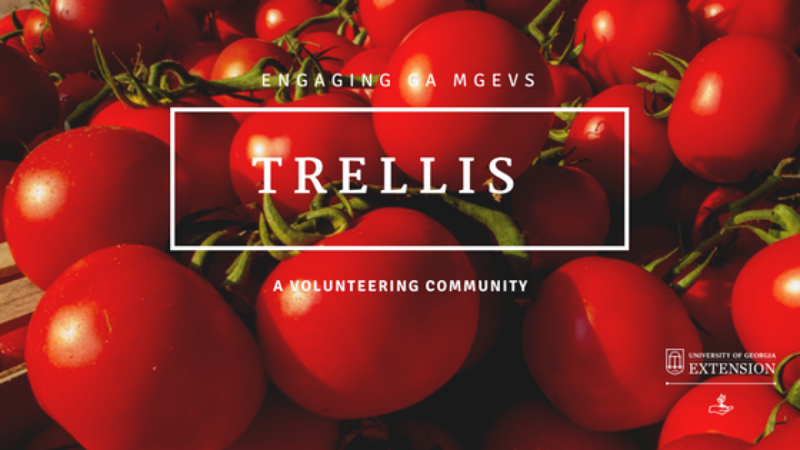 We’ll post more information and reminders here on Trellis. Grow Strong! 2019 is scheduled for April 9, 2019, at the Rock Eagle Conference Center, Eatonton, GA. We’ll offer registration information for this and other special events shortly. GMGA’s annual conference is October 19, 2019, in Warner -Robbins. Posted in Continuing Education and Awareness, MGLOG, Thoughtful Thursdays, Training. Bookmark the permalink. Next: Will you start the year off with Advanced Training and Continuing Education?